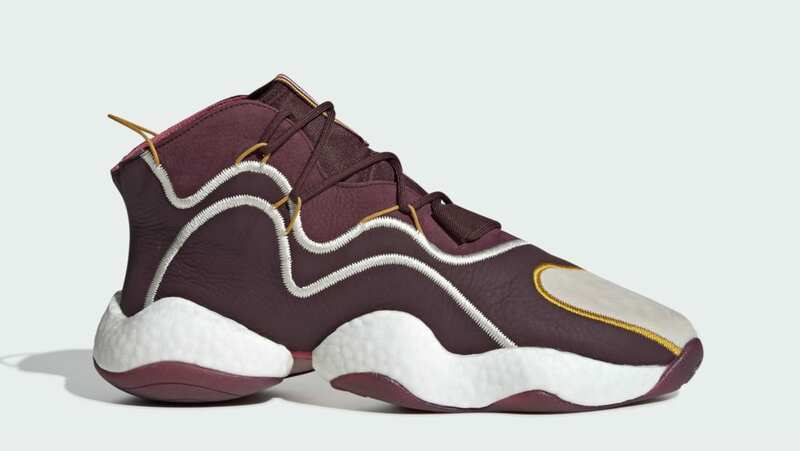 Designer Eric Emanuel's Adidas Crazy BYW will come in a rich maroon colored leather with perforated grey overlays and his signature "E.E." branding by the heel. The upper sits atop a "Boost You Wear" midsole inspired by the '90s FYW concept. Release date is Dec. 7, 2018 at a retail price of $200.